THE House of Representatives has approved on its second reading the proposed law of House independent bloc leader and Leyte Rep. Martin Romualdez seeking to exempt persons with disabilities (PWDs) from paying value-added tax (VAT) on certain goods and services. The plenary underscored the importance of passing House Bill (HB) No. 1039 of Romualdez for the benefit of PWDs. The measure was a substitute bill that includes a related proposed law under HB No. 3826 of Pasay City Rep. Imelda Calixto-Rubiano. RA) No. 7277, otherwise known as the “Magna Carta for Persons with Disability,” as amended by RA 9442, by providing that PWDs shall be exempted from VAT in addition to the 20 percent discount they are already enjoying for the classes of goods and services. Abakada party-list Rep. Jonathan de la Cruz, co-author of the measure and member of Romualdez bloc, said that the bill will help give justice to the disadvantaged sector, the PWDs. “It is about time that we give this kind of privilege and assistance to PWDs for them to be active and productive members of society. This is a matter of justice for the disadvantaged sector,” De la Cruz stressed. 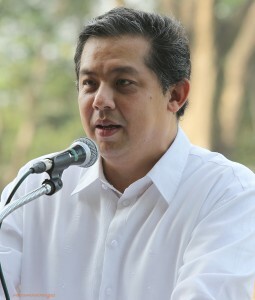 Romualdez said that the proposed VAT exemption shall apply on the following: medical and dental services; purchase of medicines in all drugstores; public railways, Skyway and bus fare; admission fees charged by theaters, cinema houses, concert halls, circuses, carnivals and other places of culture, leisure, and amusement; and all services in hotels and similar lodging establishments, restaurants, and recreation centers. For her part, Calixto said that her bill is in response to the universal challenge to protect the rights and the welfare of PWDs. Romualdez said that his proposal is an equalizing measure because it will accord PWDs exactly the same privilege enjoyed by senior citizens who are exempted from VAT by virtue of Republic Act (RA) No. 9994. “Persons with disability effectively enjoy only P12 for every P100 worth of good or service because the law does not exempt them from VAT, which is imposed on the net value of the good or service or 10 percent of the P80 after deducting P20, representing the 20 percent discount granted in RA 9442, for every P100 worth of good or service purchased,” he explained. Earlier, National Council on Disability Affairs (NCDA) acting executive director Carmen Reyes-Zubiaga backed the enactment into law of Romualdez’s bill as she debunked claims by critics that the proposal would result in revenue loss for the government and be susceptible to abuse. As to the revenue loss issue being raised by oppositors of the bill, Quimbo said that such is miniscule relative to the social impact of the proposal. “The bigger picture here really is PWDs today, while nobody wants to admit it, a great majority of them are burdens. So they are economic burdens because they are not productive, they’re not doing anything that adds to the economy because of the lack of opportunities as well as to the stigma,” Quimbo said. He said what the bill aims to do is try to bring PWDs into the mainstream of society so that they become productive members. “What we seek to do is to convert a non performing asset, not just an asset but in fact a burden, to become even more productive. So today, they are a medical burden; they are burden to the family, etc., a great number of them anyway. But with the (VAT exemption), this is just a drop in the bucket towards their mainstreaming,” Quimbo said.